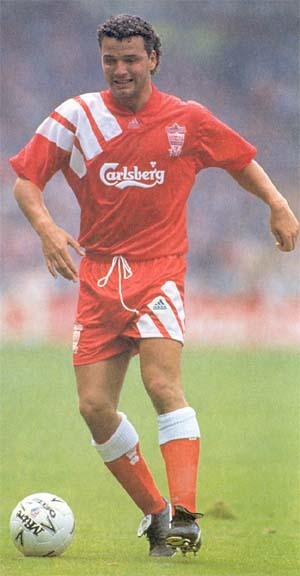 The centenary shirt was only used in season 1992-1993. From this year onwards, the commercial sponsor becomes Carlsberg. 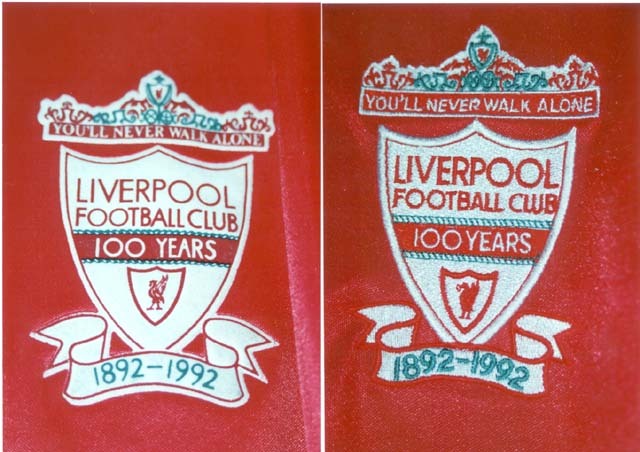 The centenary club crest adopts the wordings of "100 Years 1892-1992". Generally speaking, no long sleeved replicas were produced for this shirt. However, there are plenty of knock-up plain player stocks shirts in the UK market as the shirts were disposed off from the Adidas warehouse. 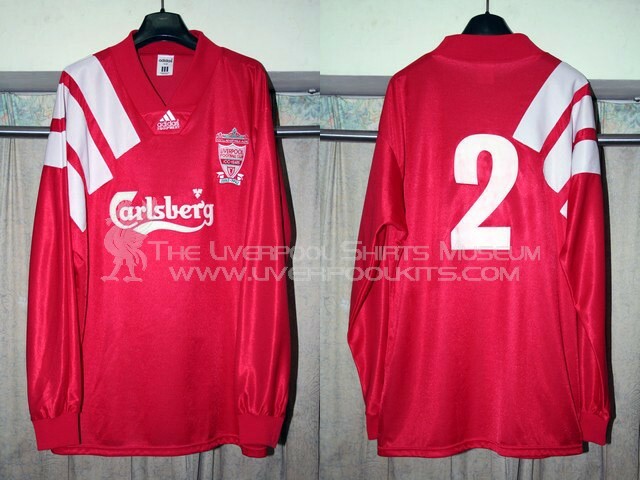 Liverpool 1992-1993 Home Centenary Player Shirt - This number 2 long sleeved shirt belongs to Rob Jones in a pre-season match. 1992-1993 home centenary player shirt. Replica's club crest is rubber embossed. while player shirt's club crest is fully embroidered into the shirt. 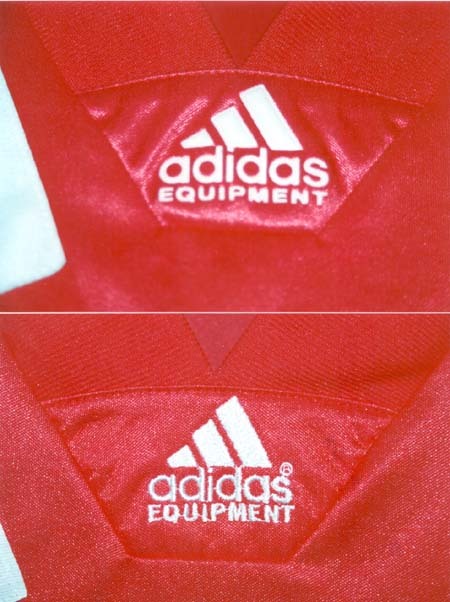 Adidas motif on the replica shirt is rubber embossed, while the adidas motif on the player shirt is fully embroidered.